I haven't made a Lush order in what seems like forever! I think it was around Valentines day, crazy long time! I ordered some of the things I haven’t tried before and am so excited to use them. Lush baths are always the best baths. I’m especially looking forward to using the cherry bath melt as they’re always so moisturising. The soaps are the samples I received, there’s definitely a couple I’m going to be buying soon. Once I’ve used them all I’ll be writing up reviews so keep a look out if you’re interested. What have you ordered from Lush recently? That's some awesome stuff you bought there! They sound really nice, but do they irritate your skin? I have execema (or however you spell it). I'd like to get some lush stuff. ehehe, they look so cute! 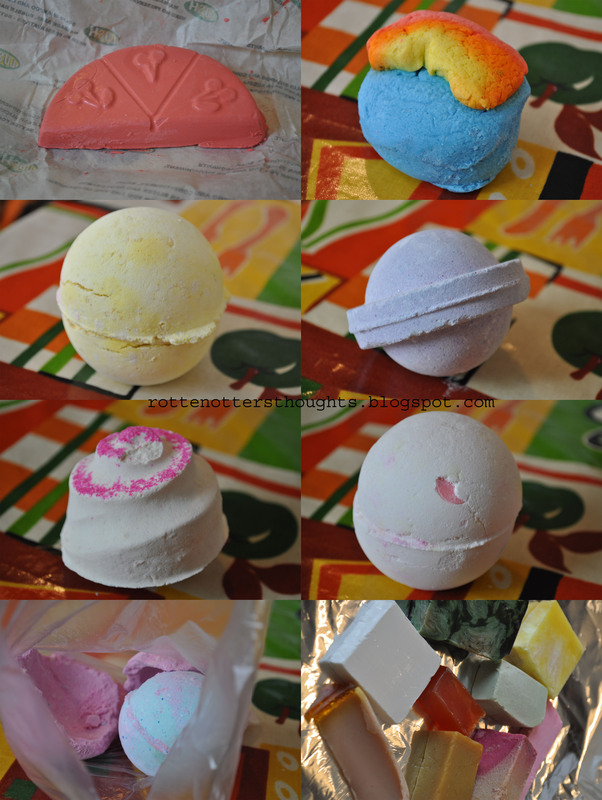 i have never ordered from lush as i find it quite expensive!